2012 is over. Time for one of my favorite things, lists. Here I am presenting the top 5 super hero series of 2012. They are biased. They are my opinion. You’ll probably disagree. I didn’t get to read everything so if your favorite title is off the list, there’s a good chance that’s why. 5. 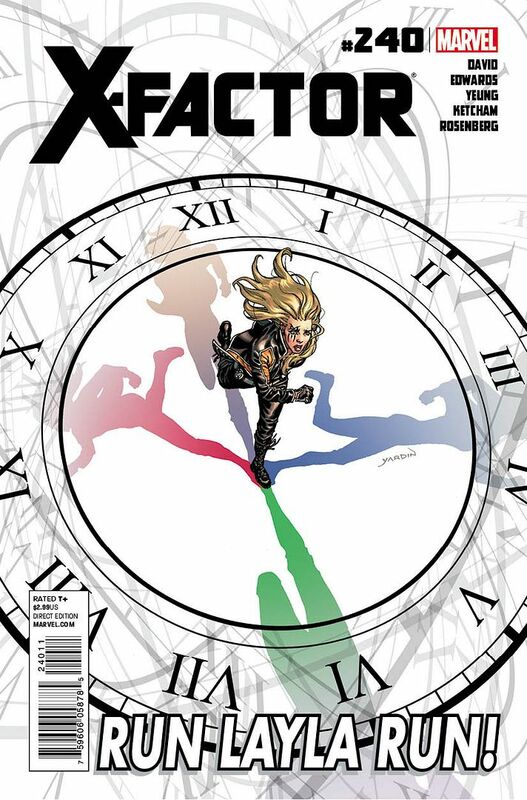 X-Factor- Peter David’s long running love letter to fans soldiered on with incredible concepts and fantastic writing. These are the unsung best characters in the Marvel Universe. I love reading about them every time I get my hands on a copy. What really makes them interesting is how real they are. They are very normal for people with super powers thrown into life threatening, crazy and even ludicrous situations. As long as Peter David keeps writing this book it will continue to shine. The next storyline is an epic decades coming, Hell on Earth. Expect nothing but brilliance. 4. Wonder Woman- Like many people, I liked Wonder Woman but never really read her except for in team books. Brian Azzarello has given her a concept that is completely different from what she used to be and it works. Beautifully. Arguably the most changed in the New 52 universe, she is also the one that needed it the most. Her world is completely different and every month something new and unexpected happens. Thankfully, it’s always welcome and written and drawn perfectly. Wonder Woman was the risky book of the New 52 and now it’s one of the best. 3. Animal Man- The surprise hit of the New 52 kept up its momentum leading into the epic Rotworld storyline. Jeff Lemire has been building up to this since issue one and is delivering a masterpiece. There is a lot going on and it’s being treated with care, even while the characters are not. What’s coming after this and what stories he has planned next I cannot wait to see. 2. Amazing Spider-Man- No spoilers here. But holy crap are they big. Amazing Spider-Man #700 came out yesterday and while you might be divided on it there’s no disputing the fact the changes are big. Dan Slott has been building up to this for a long time and to this reviewer is has paid off. Slott is someone that gets the voice and feel of Spider-Man more than a lot of writers I’ve read. He keeps the stories coming fast and furious and going into 2013 I can’t wait to see what’s in store for whomever is wearing the mask. As long as Slott is handling him, I’m on board. 1. Batman- Oh, Scott Snyder. You have somehow taken everyone’s favorite super hero and made him more beloved than ever before. The stories that are coming out right now are going to be regarded as legendary. Court of Owls and Death of a Family are epics to shine for comic fans forever. And he’s only just getting started. If you’re one of the two people left not reading the best book (overall) on the stands, get it. Now. We are reading history with Snyder’s run on Batman. There’s only bigger and better to come.